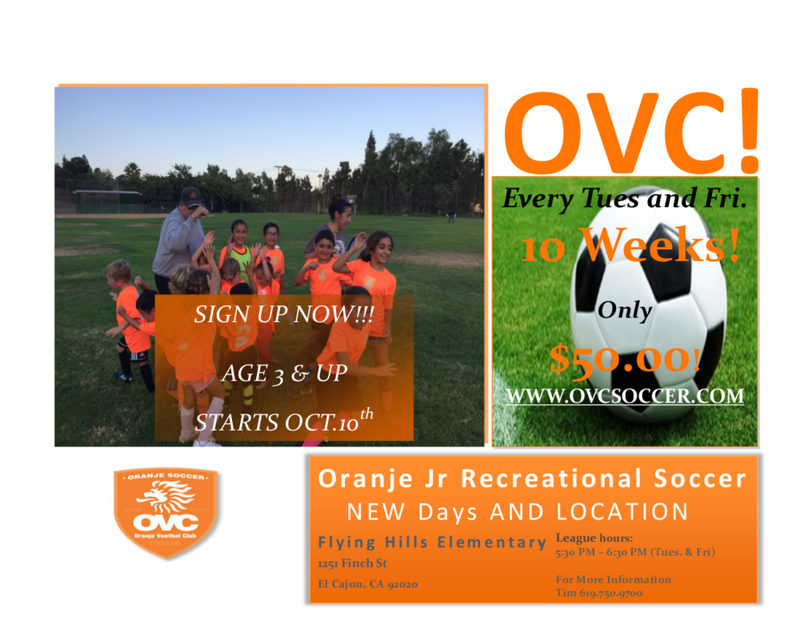 Oranje Voetbal Club is excited to announce the start of the Oranje Jr. Recreational Fall Soccer League. The Fall season will start Tuesday, Oct 10th. Schedule for the fall season is every Tuesday and Friday from 5:30pm to 6:30pm for 10 weeks. For all players Ages 3 and up! The Jr. Recreational Soccer program is a fun way to introduce your child to soccer if they have never played before or a way to improve and develop skills they already have. All players will receive hands on coaching for our OVC coaching staff, mentor ship for some of our club players. In addition each player will receive a league Jersey and an award on the last day. Each practice session and game session is designed to have your child develop skills, techniques and movement as well as develop self-confidence and teamwork.